When I first moved to London, I had never been to see a West End show. In fact I'd never seen any show off West End either- well unless you count Thomas the Tank Engine the stage show when I was five. But in that first year I loved going to the theatre, so much that I went 7 times in one year! There is something about musical's that is just so uplifting and fun. The colours, the sounds, and all the costumes are incredible. You can't help but smile as you watch them. Which is why on Saturday I felt very lucky to be invited to go behind the scenes to discover some of the makeup looks that MAC have designed for the show. MAC are the official makeup of Disney's west end theatre. 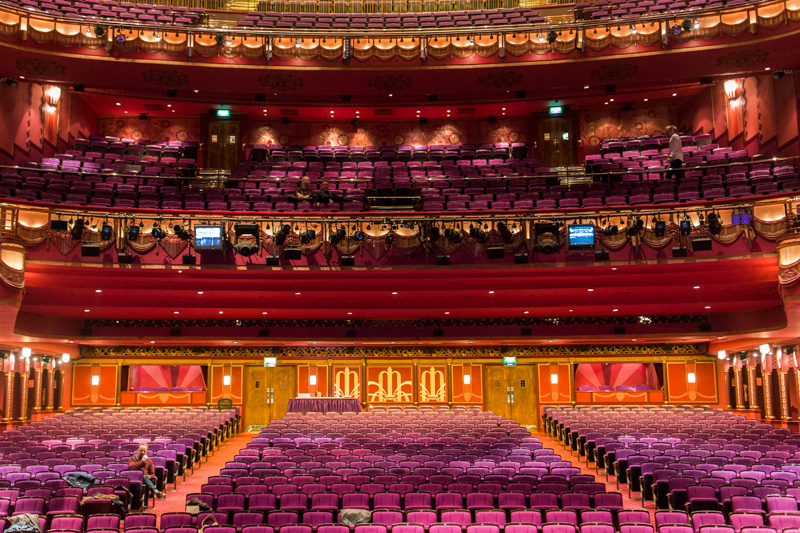 How often do you get to say you've seen the theatre from this angle? I've never once thought I wanted to be an actor or performer, but standing on stage was quite a thrilling experience and I can definitely see the appeal of playing to such a crowd. We started the day at The Prince Edward Theatre which is home to Aladdin. I was actually due to see Aladdin later that day, so it beforehand it was really cool to see behind the scenes. My makeup capacity is just enough to make me look human in a morning, and I apply it on my train journey in to work every morning. But these really were works of art. I definitely see where makeup ARTIST comes from when looking at these. 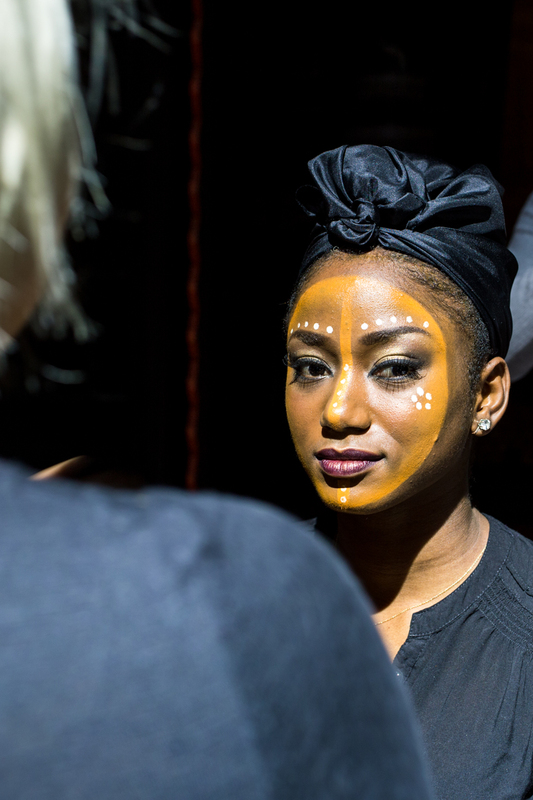 MAC are the official makeup of Disney West End shows, and have been creating some of the most iconic theatre looks for years. 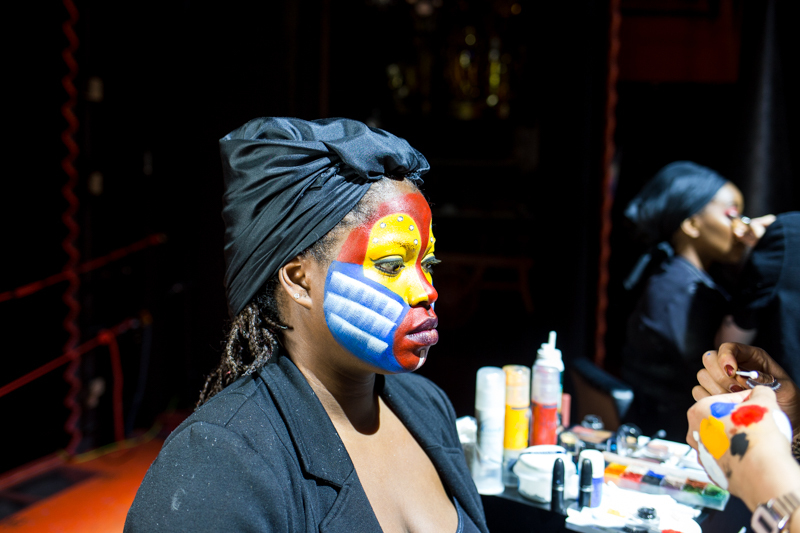 On stage were the makeup artists getting the actors ready for the two shows on that day; Aladdin and The Lion King as they are both Disney. 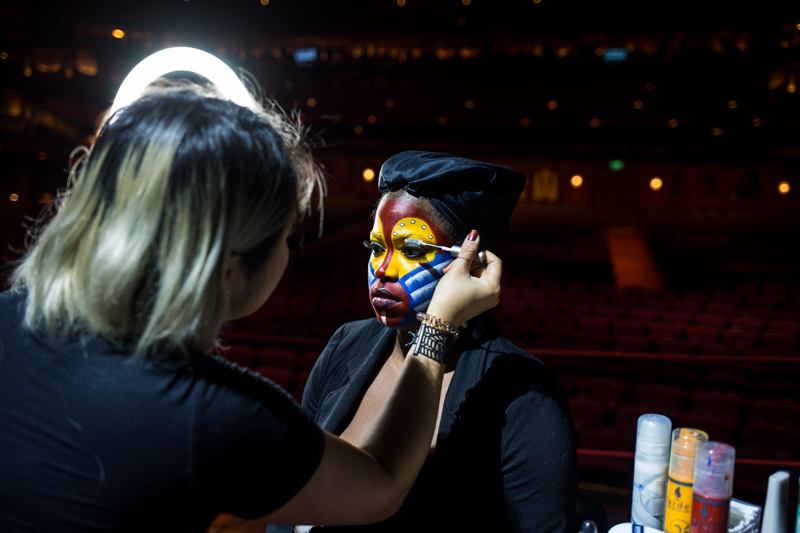 Every single product used at The Lion King and Aladdin is MAC and available to buy as a consumer. 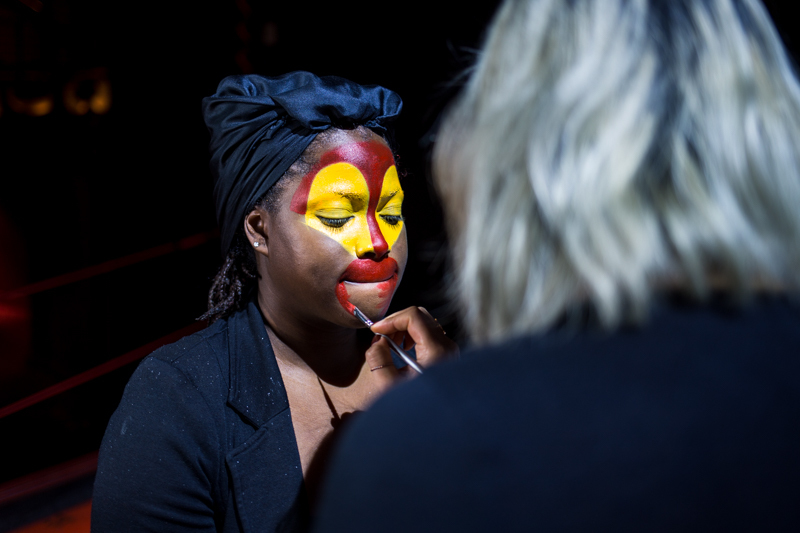 I didn't actually realise but as well as your more everyday makeup like eye shadows and foundation, MAC also create more "theatre paint" style makeup which is used to create the looks like above. I can barely blend two eyeshadows together let alone do this! 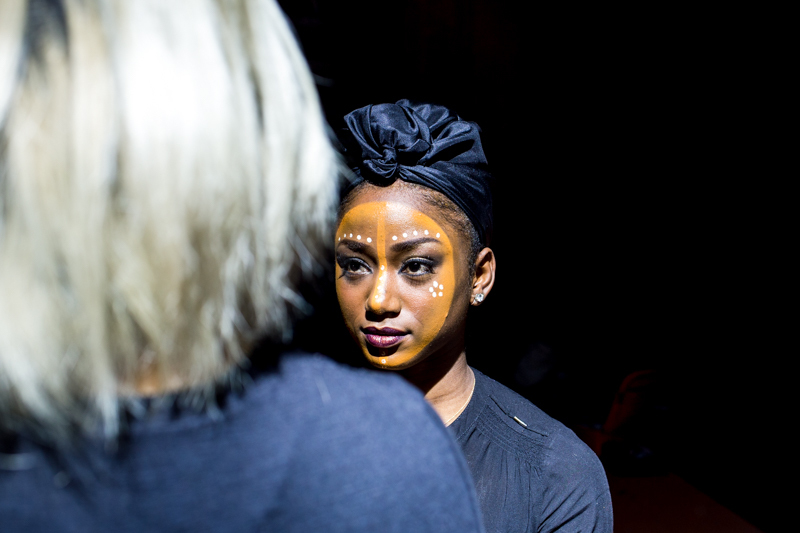 Throughout being backstage it was amazing to see the work that goes into these looks. 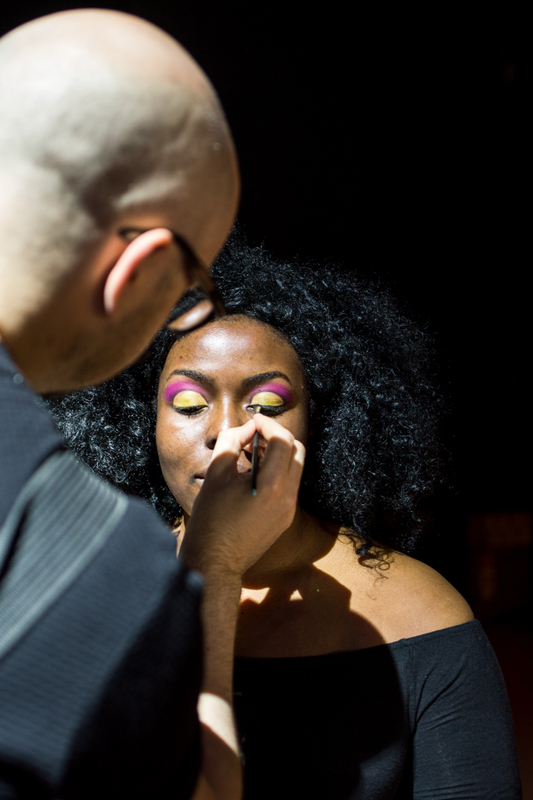 Whilst it can take me up to 40 30 minutes to put on a whole face of makeup, a whole theatre look can take that time too, as the speed and precision is now a fine art. 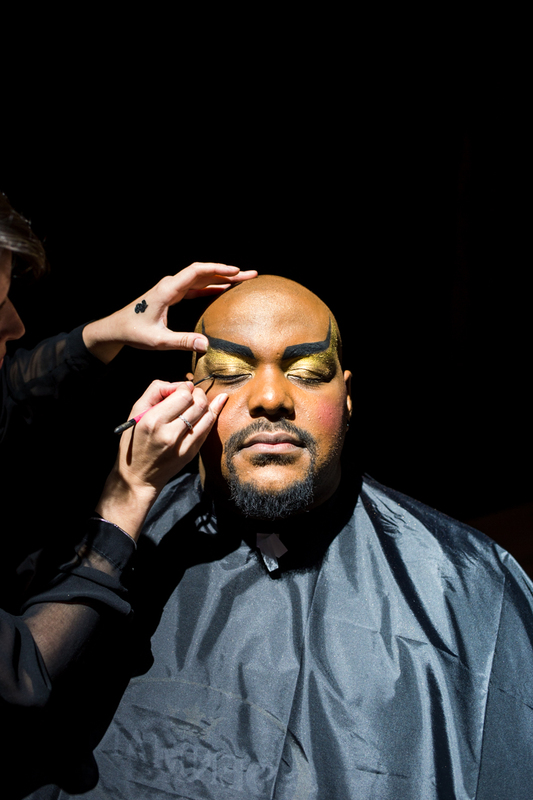 Trevor Dion Nicholas who plays the genie was saying that because the amount glitter that is put on his whole head and face, between shows (matinee and evening) he has to have a shower, so the makeup artist has to create his looks twice. His eyebrow look above apparently was inspired by Ancient Egyptian hieroglyphics, and quite often the artists will use cultures both past and present to create their looks. I loved photographing these looks too, as the dramatic makeup really is photogenic! I know this one isn't Aladdin, but I actually think this is my favourite. The whole experience of seeing behind the scenes was amazing, but don't take my word for it. I actually vlogged the whole day as it's easier to show you the incredible skills of these artists in action. Plus there is a sneak peak of Aladdin the musical too, so go check it out below on my YouTube channel. What an amazing experience. I received Aladdin tickets for my birthday and when I see the show I'll be paying extra special attention to the make up now! Yes Victoria it is very amazing experience. Really interesting..